We've been obsessed with shaving every last millimeter from our new dropper posts, so that you can run the longest dropper possible. 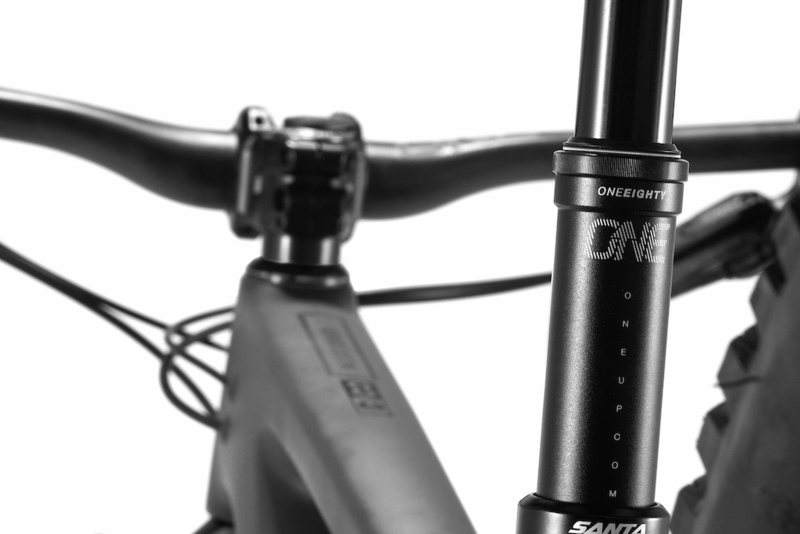 The OneUp Dropper Post has the shortest stack height and shortest total length of any dropper post with the same travel. No other dropper post can get your saddle lower. 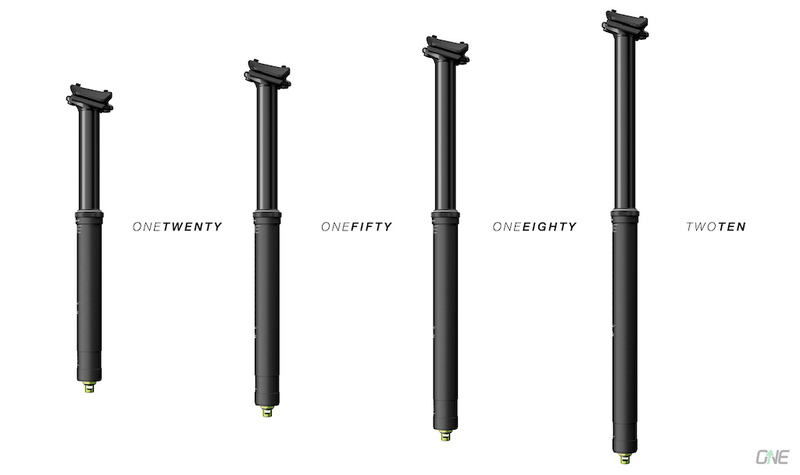 The OneUp Dropper Post is now available in 120mm, 150mm, 180mm and 210mm lengths and all can be shimmed down in travel by either 10mm or 20mm. Shortest total length of any dropper (420mm with actuator for a 150mm post)Shortest stack height of any dropper (183mm for a 150mm post)New upper DU Bushing in the collar for increased bushing overlap and durabilityThe new OneUp dropper line now covers 100-210mm post lengths in 10mm increments.20g lighter than our old post, you need to spend twice as much on a dropper to get something lighter than the OneUp post. STACK HEIGHT Say goodbye to the double drop. 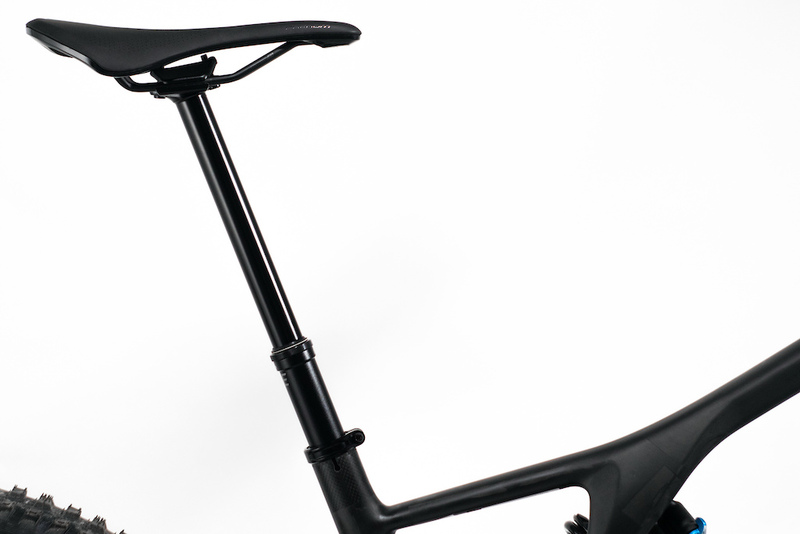 Many riders are forced to run a shorter travel post because of an interrupted seat tube or still have to use a quick release with their dropper post to get their seat low enough. Upgrade to a longer travel post, even if your current one is already slammed. 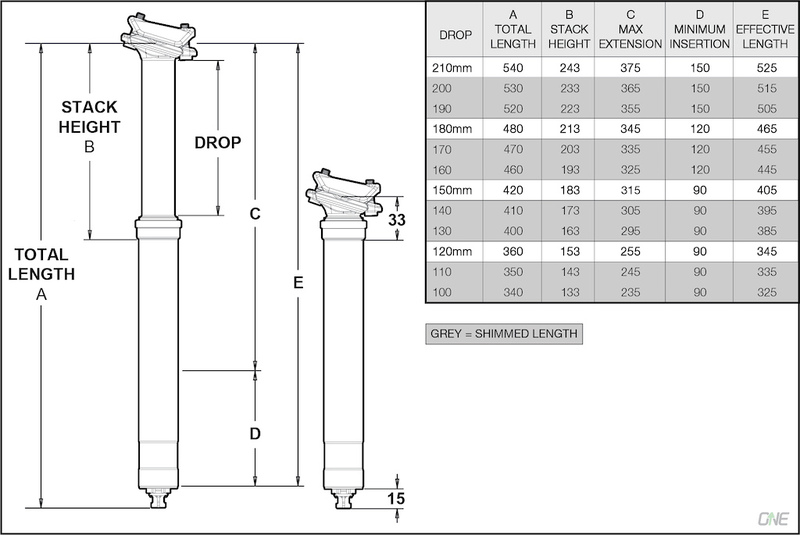 If you are 5'11 (180cm) or taller, its likely that you can run a 210mm post. 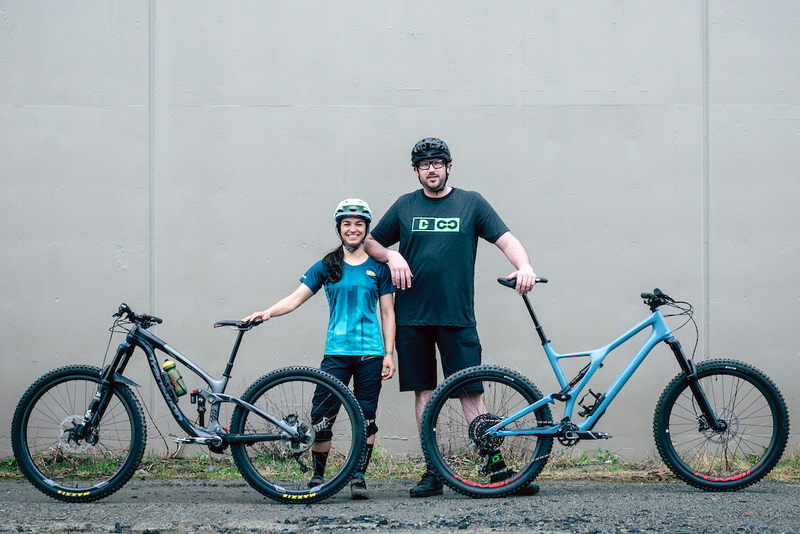 Christina ( 5'4" ) was able to run a 180mm travel OneUp Dropper Post in her size small frame. Nick ( 6'6" ) is running a 210mm in his XL frame. 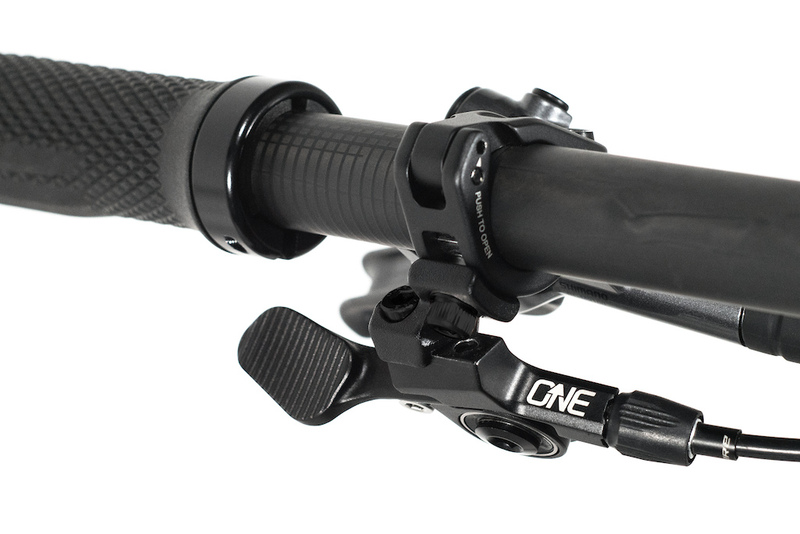 REMOTE The updated remote has the same awesome lever position for ultimate thumb wrap and control but now has a more durable aluminum body and is available in 22.2, I-Spec EV, I-Spec II and MMX clamp options, for perfect integration with your brake lever at no extra cost.